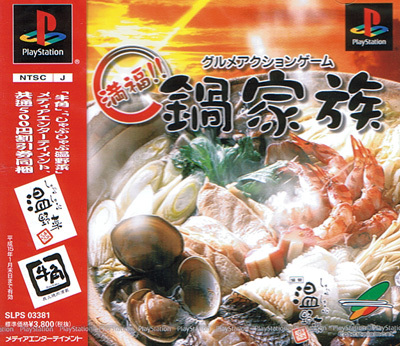 Cook a Japanese hot pot by tending to the various ingredients and then feed them to the customers. 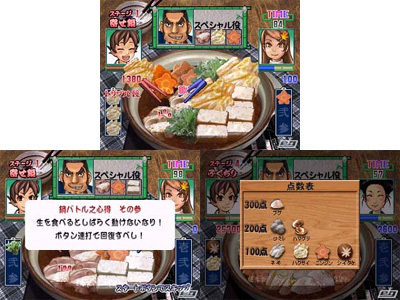 Power ups allow you to cook the ingredients to perfection in an instant making many satisfied customers. But your opponent can also bang into your chopsticks aswell as freeze them and only frantically hitting the 'X' button will restore their use. 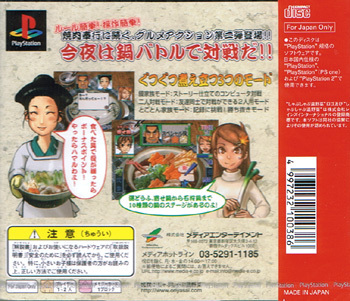 Be wary of serving undercooked food too as this will cause them to freeze, but a good eye is needed to spot food that is ready before it is marked up as OK. Subtitled Gourmet Action Game.